Well, the good news is that somebody’s working on a new book-length account of the expedition which ended in Patrick Ferguson’s defeat, utilizing extensive research in the primary sources as well as the latest scholarship on militia and the Revolution in the Carolina backcountry. Here’s the bad news. The guy working on it is me. I’ve actually been at this project for a while now, but I haven’t had the gumption to tell anybody about it. I played this one pretty close to my chest until reassuring myself that I could actually pull it off, but at this point I’m far enough along that I think it might actually see the light of day. King’s Mountain has fascinated me since I was in college, and I’ve long wondered why there are so few books about it. The last really intensive treatment was Lyman Draper’s 1881 book King’s Mountain and its Heroes, which is thorough but also badly outdated, heavily dependent on tenuous oral tradition, and saturated with the filiopiety that characterizes many nineteenth-century historical works. Since I can’t seem to stop poring over everything I can get my hands on related to King’s Mountain, I decided a good while ago that I might as well do something productive with my obsession. I’ve gone over quite a bit of the published source material, both primary and secondary, and now I’m digging into the manuscripts and putting the finishing touches on a proposal. Let me talk a little bit about what this project is and what it isn’t. I’m studying the campaign which led to Ferguson’s defeat as a whole, so I’ll be looking into his organization of the Carolina Tories, the British march into North Carolina, and the Whigs’ march across the mountains, as well as the actual battle. In other words, this won’t be a study of the tactics and troops movements alone. I’ll be dealing with all that, of course, but what I’m aiming for is an analysis of the series of events of which the Battle of King’s Mountain was the climax. I’ll also be discussing the battle’s nasty aftermath, and I’ll have at least one chapter (probably two) on the way Americans have remembered it, which was the subject of my MA thesis. Tradition and legend have played such an important role in interpretations of the battle that I don’t think I could exclude an examination of memory from this project even if I wanted to. 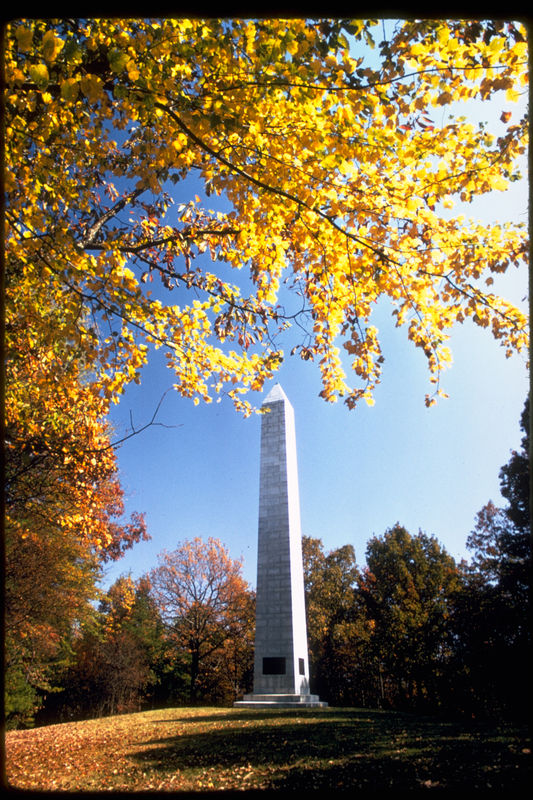 So this will be an attempt to make sense of what brought Ferguson’s Tories and the Whigs into action on a wooded ridge that October day, what happened when they met, and the impact this confrontation had on the war and the way Americans have interpreted it. And now that you guys are in on it, I guess I’m committed to keep plugging away until the thing’s done. Gulp. Sharyn McCrumb is taking on my favorite historical subject for her next novel. Looks pretty cool! Just pick any number between 1 and 1,863 and e-mail it to me at mlynch5396@hotmail.com using “Civil War Book Giveaway” as the subject line. Deadline for entries is Saturday, June 8 at 10:00 P.M. U.S. residents only, and if you get your mail at a PO box you’ll need to supply an alternate shipping address in the event that you win. Good luck, folks. This is a pretty neat book, and I think you’ll enjoy it. 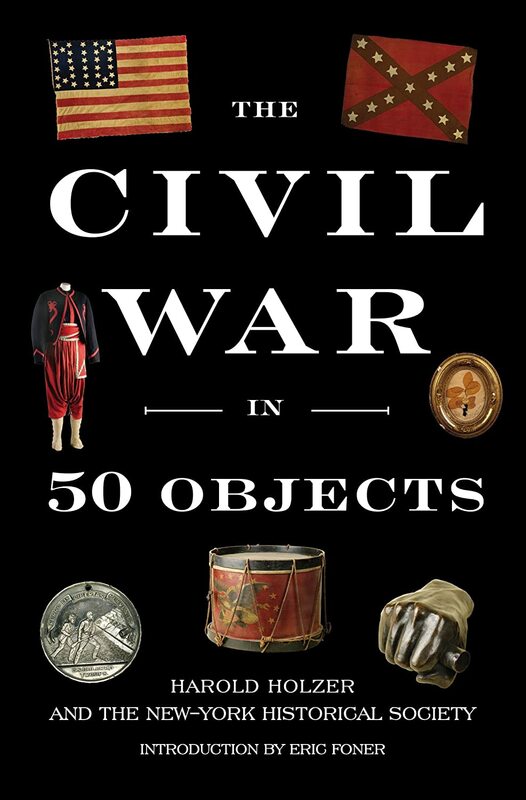 The Civil War in 50 Objects by Harold Holzer is one of the more engaging books I’ve received lately. It’s neither a catalogue nor a popular history of the war but an interesting fusion of the two. The book features items from the New-York Historical Society’s collections, arranged chronologically and illustrated in color. The images are great, but this isn’t a picture book with the text limited to captions. Instead, Holzer uses the objects as jumping-off points to explore various aspects of the Civil War era. A wheel used to select names for the draft is the springboard for an examination of conscription, an 1864 campaign flag prompts a discussion of Johnson’s selection as a candidate for the vice presidency, and so on. The chapters are short, but still substantial enough to give readers a nice little overview of the subject. The objects run the gamut from a set of slave shackles to a portrait of U.S. Grant, from a John Brown pike to a manuscript copy of the Thirteenth Amendment. Lincoln, emancipation, and the home front get particular attention, but the selection is broad enough to appeal to anybody who’s interested in the war. This book gives you the same joy of exploration and discovery that you’d get from a museum exhibit. You can read straight through it for an overview of some important aspects of the war, or jump around to whatever artifacts strike your fancy. If you’re a museum junkie, it’ll be a welcome addition to your library. In case you were wondering what might have befallen us if the Confederacy had gotten its hands on the Super-Soldier Serum, here it is. I’m guessing the next installment will have Horace Hunley as Tony Stark and Belle Boyd as Black Widow.